Glassware is suitable for preparing teas that don’t require very high brewing temperatures and where maintaining equal level of temperature throughout the infusion is not necessary. This type of teaware also can be used to prepare teas that are visually impressive, such as Jasmine Pearls or Long Jin. Our range of glassware items are hand made. 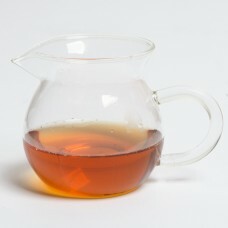 Cha Hai is also called a "fair-for-all jug". It ensures that everyone gets the same flavour in their..